"In the end we will win"
"In the end we will win". Those were words spoken last night by President Trump when he decided to go along with his generals and increase the number of troops into Afghanistan. 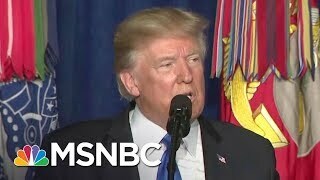 The New York Times put it this way, "Trump accepted the logic that a 'big military' approach was needed to prevent Afghanistan from again becoming a launching pad for terrorism against the United States". Here we go again with the terrorism card. It's always handy when all else fails. Scare Americans into believing terrorists and terrorism hatched in Afghanistan will be out to get them. Trump went further, "We are not nation-building again. We are killing terrorists." Funny how the indigenous Afghan Taliban became terrorists. But I digress. Trump said, "The killers need to know they have nowhere to hide, that no place is beyond reach of American might and American arms. Retribution will be fast and powerful". Oh sure. Let's now take the gloves off as if that hasn't been tried and found wanting by all his predecessors from Dubya to Obama. What did Einstein say, "Doing the same thing over and over and expecting different results is the sign of insanity". Hmm. It's been 16 years since "Dubya" Bush invaded Afghanistan supposedly to go after Osama bin Laden as the alleged perpetrator of 9/11. As America's longest war it's still technically unresolved but essentially it's a done deal lost cause. That's because however long America remains in the country, Afghanistan will eventually revert to its traditional Afghan ways- something the British finally learned after two invasions one in the 1830's when they were forced out in 1842, a second more successful time in 1878 remaining there till they were finally forced to leave in 1919. Then it was the Soviets invading in 1979 then forced to withdraw in 1989. Now the Americans since 2001. It's little wonder Afghanistan is known as the graveyard of empires. So why should it be any different for the Americans? It won't. Afghanistan is an alien culture to Americans , a tribal society, religiously mostly Sunni Islam with Pashto and Dari the official languages. Americans don't speak the language, have no understanding of the culture and empathy for the Afghans plight would surely be the exception rather than the rule. What the Americans do bring is modernized weaponry killing scores of Afghans even in wedding parties and funeral processions, something not forgotten by the survivors instantly creating new insurgents vowing revenge. Now it's Trump's turn to learn the inevitable by joining the warmongering chorus only to discover more Americans returning home in body bags. The Trumpster once called Afghanistan a lost cause before he became president. In 2012 Trump tweeted, "Afghanistan is a complete waste. Time to come home". Oh how things change when one is surrounded by generals who never seem to lose their itch for war-always good when they're not the ones being shot at. That they'll leave for the misguided souls from America's rural areas, inner city blacks and browns with few job prospects at home and macho twits needing to kill something to somehow prove their manhood.